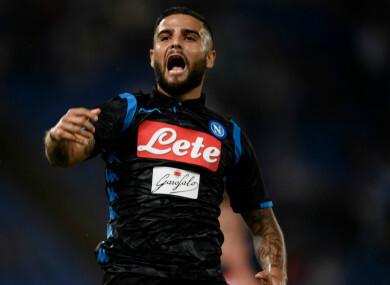 NAPOLI HIT-MAN Lorenzo Insigne will not be sold for less than €200m (£178.1m/$232m), club president Aurelio De Laurentiis revealed on Tuesday. Email “'If we get a €200 million bid we’ll sell him' ”. Feedback on “'If we get a €200 million bid we’ll sell him' ”.